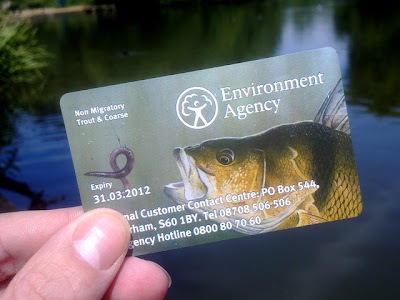 Well the course fishing season is nearly here, less than 2 weeks to go! This closed season seemed to go on for an eternity, and it has been harder than ever before to resist venturing to a canal or pond for a bit of out-of-season fishing - or do I say that every year? I do agree with the closed season though, not only does it give the fish a bit of time off to breed, it also gives the water birds, wildlife and weeds & plants time to flourish. Dan and myself have set a target of catching 100lb of Wandte barbel, last season we managed to catch 35 fish but there average size was just over a pound. We know there are double figure fish in there so it could be a lot of small fish or nine or ten big ones - hopefully a mixture of both. 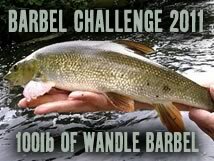 Within this challenge there will also be the biggest individual barbel competition between us (we're aiming for a double). I put a lot of effort in last season trying to catch a Thames pike without landing one... I'm aiming for at least one fish (of any size) I can then work from there! I'm probably going to venture a bit further upstream where they seem to be more prolific. 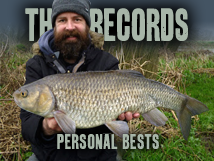 I will also be targeting other species, carp, chub, eels, bream, as the mood takes me. And in the winter I'll be heading in search of a River Wye thirty pound pike, I've been after one for over 20 years, you never know, this might be my season. I'll also be applying to get tickets for Chew Valley. For the first time in years I'm in England when the season opens, so fingers crossed I'll be on the bank on the 16th... Can't wait! I'll keep a running total of the barbel challenge to the right. Tricky one this year! 'A man's reach should exceed his grasp' Robert Browning. Wye Pike are intriguing: what is it that makes them different and such a challenge? I guess there are some obvious factors around a 'big' river that, in many places, isn't widely fished (at least not for pike), the quality and availability of prey (and the growth potential in this food supply) and, well, some history. I've heard that the river record is either 37lb or 39lb which, if you exclude the Broad system rivers (not really rivers in some senses), puts the Wye in different league. I think I'm also right in saying that this fish was reported a long time ago and that gets you wondering if they are are still there. Or even if there's one a bit bigger still. A leviathan still to be caught! The official Wye record is 37lb caught in May 1910 by Major W H Booth at Hay-on-Wye, and appears in the Domesday Book of Mammoth Pike by Fred Buller. I found a bigger one still (mounted head) in an antiques shop in London, the plaque claimed it was 37lb 10oz caught in 1936 - it was difficult to judge from just the head but it obviously came from a massive pike. The biggest one I have seen in-the-flesh was a 34lb pike in 1991, and it coughed up a 4lb salmon prior to being weighed (38lb on capture). And later that year a fish that bottomed out a 40lb scales was found dead on a popular match stretch by a friend of mine. The intrigue for me started when I was a kid living a stones throw from the river (I now travel a long way to fish it). And both of my 25lb fish were caught from areas that aren't fished for pike. I'm pretty sure nether of them had ever seen a hook before. Do the monsters still exist? Sadly no, the Wye throws up a low 30 every couple of years but without the runs of shad and salmon and the great numbers of par that used to exist 20 years ago I think the days of the real monsters have gone. But it's a big river, much of which isn't fished and one day I'll find my thirty. I've just had a thought; we are catching the offspring of giant pike in the Wye now, and genetically they are capable of reaching massive sizes should the shad and salmon return. Another major food source, the Eel, has also almost disappeared over the last 20 years. I'm sure you remember that they were a common catch when we were kids. 2/The pike are now much more protected from abuse. I think you have the right approach for the moment, rove and find the fish. I'm sure that the Pike adopt the same approach towards the prey, and there lies another challenge in big river piking. Ah Pike fishing! Can't wait til Xmas. I'd forgotten about the eels! And I agree that they were an important food source. But with the decline of the eels, salmon and par came the explosion of the bleak population, which must have gone a long way to covering their food supply. The shad however were very important to the pike. They arrived in their millions just after the pike had bred. Being easy to catch (often dead) they provided the pike with a means to get back to full fitness in a couple of months. Adding a valuable growth spurt as well. The shad were only found in 3 other UK rivers and nowhere like in the quantities found in the Wye. I think the shift in English angling is far more dramatic; 20 years ago a lot of pike caught were knocked on the head and eaten, 30 years ago most pike were killed by fishermen. 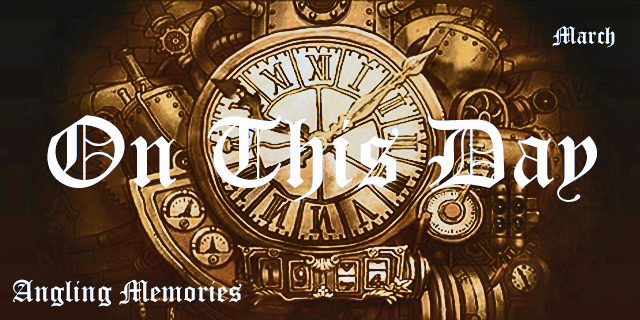 I really do over-think this stuff... Roll on the season so I can turn my brain off and go fishing!